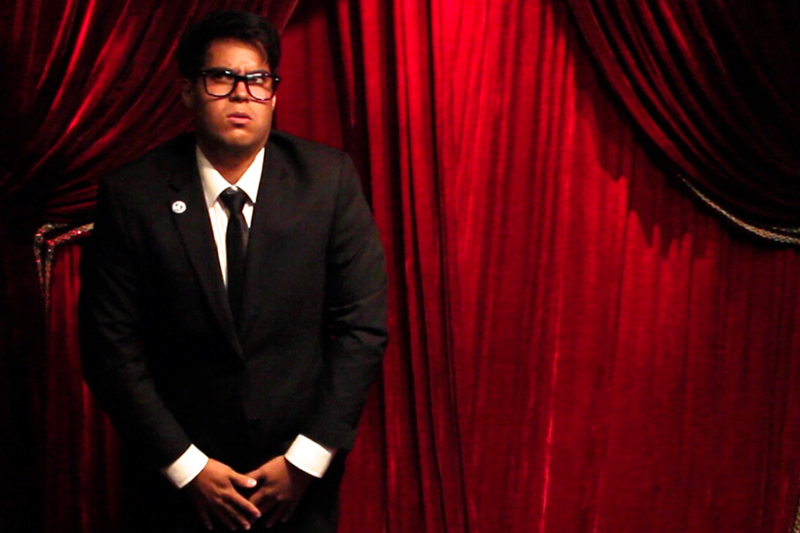 Comedy & magic are a profession for me, but they are also a way of life. Throughout the past decade I've developed a unique way to entertain at events which has garnered me a reputation, world-wide. 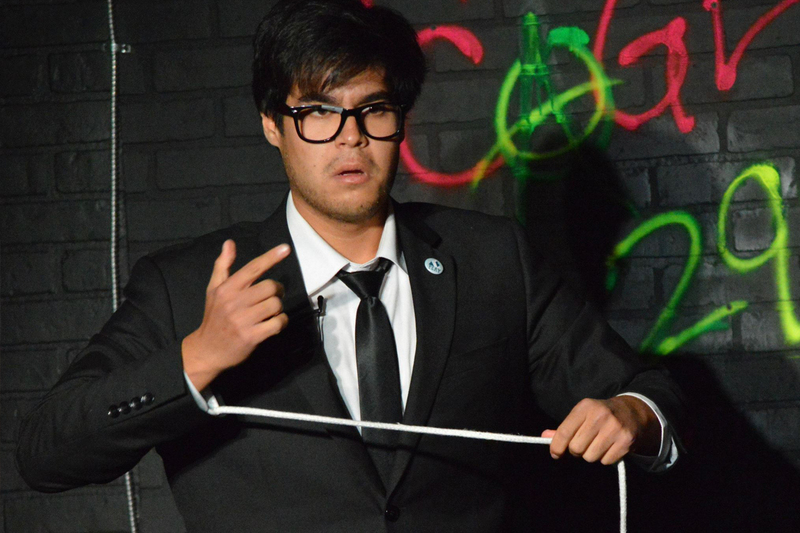 Some say that I'm disarming, charming, and will make you laugh out loud with my uniquely entertaining brand of magic. I'll let you be the judge. Cheers! 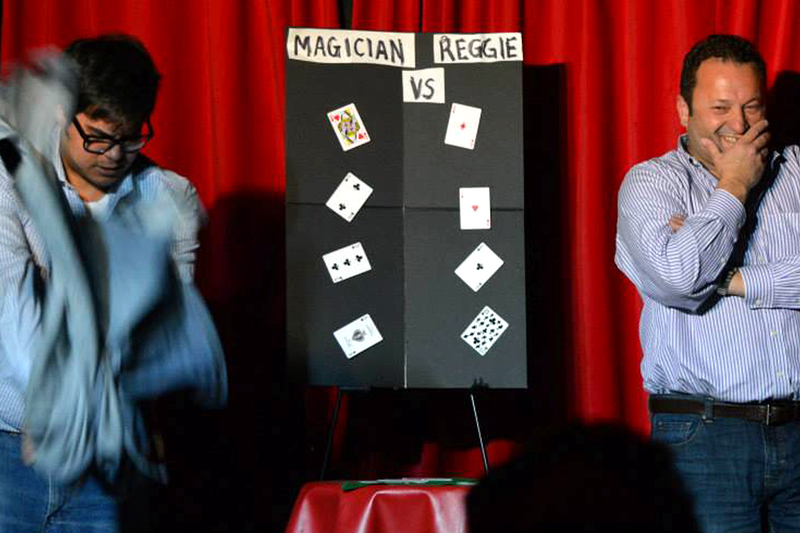 The Family Magic Show is perfect for any occasion with guests of any age. Whether it be a room filled with kids or a room filled with adults, this show is interactive and fun for everyone. Perfect for large parties corporate or special occasions. This is magic close up, and personal. I walk around the party adding a magical touch that will create lasting memories for all your guests (seated or standing). Perfect during cocktail hour or directly before dinner. 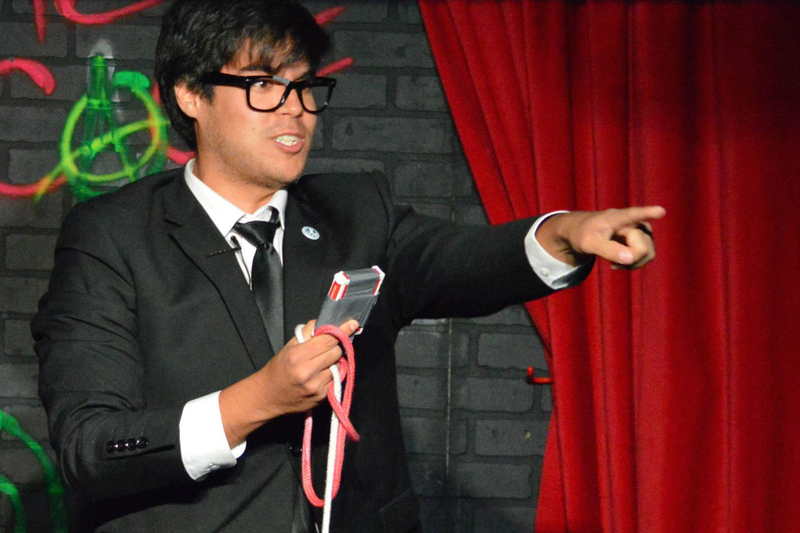 The Stand Up Magic Show is a theatrically hilarious experience cast in a unique magical setting. Interactive for the whole audience. This show is perfect for large corporate events that have access to stage, sound, and lighting. My wife surprised me for my 50th, and hired a magician. Chris Mayhew was that magician. He's a class act! We hired Chris Mayhew for our 20th wedding anniversary to perform his tricks at the tables, and he was astounding! Hilarious! Worth every penny. Chris Mayhew performed at our 2014 Christmas company function. It was a real treat. Some of us in the office are still laughing! It was a pleasure to work with Chris Mayhew. He's too funny for words, and a consumate professional. We look forward to having him again next year. What kind of event / party are you hosting? Gather info about your budget, venue, amount of people coming, location & time, plus other important info. When ready, please email (or call) to discuss your specific plans. Let's open a dialogue, and get the ball rolling. We speak about your event, then decide the optimal place for me to enrich your guests' overall experience. I show up, make your guests laugh, and we all have a great time. In the end, everyone leaves happy talking about how you're the best host ever! Call me today at +1 (647) 980-9404, and let's speak about your event. Or please fill in the form below if you'd like to connect via email. All Rights Reserved © Copyright 2017 - Chris Mayhew.